It is hard enough for any professional jockey to get down to under 10st let alone an amateur. But that is exactly what Sam Waley-Cohen had to do at Warwick on Saturday and it paid off handsomely. Waley-Cohen partnered Impulsive Star to win the big chase on the card for his father Robert, a part-owner in the horse. Waley-Cohen had to drop to his lowest weight for several years to partner Neil Mullholland’s runner. The nine-year-old won the Grade 3 McCoy Contractors Civil Engineering Classic Handicap Chase. Waley-Cohen had to be at his best to drive Impulsive Star home up the straight to get the better of Calett Mad in the finish. 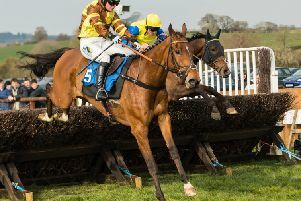 The Warwick card also saw Moreton Pinkney based owner Richard Whitehead enjoy a first winner of the season with Generous Day in the 2m racingtv.com Edward Courage Cup Handicap Chase.